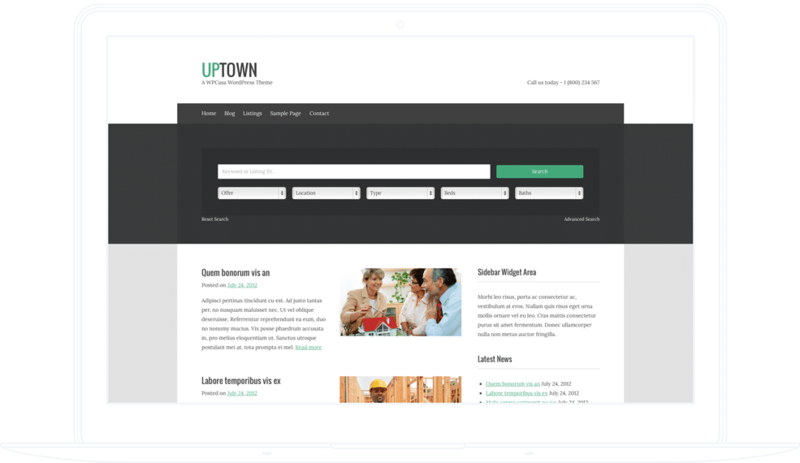 upTown comes with a very clean and simple design in order to focus on your content. Through the theme customizer you can easily make your settings with a live preview. upTown nicely integrates with the WPCasa plugin to easily create real estate websites.